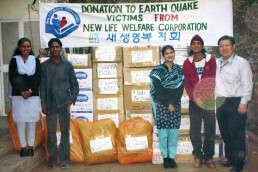 On December 30, the New Life Welfare Foundation delivered fund and relief supplies to Pakistan suffering from earthquake. The great earthquake killed 80,000 people. This disaster made our hearts more broken because it victimized a great number of children. The residents in this isolated area damaged by the earthquake are still living in tents. This winter is horrible to them. Although the provided tents are enough by the help of international communities, they are now overwintering, embracing each other in thin clothes without blankets and shoes inside the tents. It is reported that some refugees die by starvation and coldness in fierce wind. 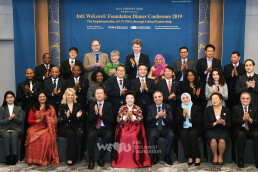 The New Life Welfare Foundation sent aids such as tents, blankets, shoes and water together with monetary fund to Pakistan a month ago in November. This December, we could feel more heartfelt devotion from the members because the amount of aid was twice as large as the first time. Meanwhile, we felt sorry that the airport in Lahore, Pakistan, which once was crowded with aids from all over the world became silent because of the decrease of international aids. 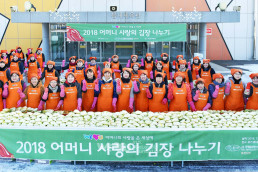 The relief supplies that the foundation members brought were essential goods: winter clothes for children and adults, blankets for baby, winter shoes, thick quilts, carpets, rice, grains, milk, cookies, drinking water and so on. The foundation delivered these relief goods to the government officials in charge at the Lahore airport, and remitted the fund to the national bank of Pakistan. These aids are expected to be supplied by helicopter because the road is blocked by the earthquake. We give thanks to the members who extended their warm hands to them, and wish our small help and love to be a hope to the refugees in our neighbor country Pakistan.